The Shiv Sena has demanded proper and honourable rehabilitation of the displaced Kashmiri Pandits of Jammu and Kashmir who were forced to flee their home-state over 25 years ago. “Jammu and Kashmir now has a stable government of the BJP and the PDP, and a strong administration led by Narendra Modi at the centre. Since Chief Minister Mufti Mohammad Sayeed’s government has been formed with the BJP support, he must take a decision on ‘ ghar wapsi ’ of displaced Kashmiri Pandits,” it urged in an edit in Saamana on Tuesday. 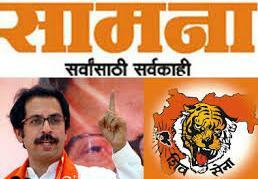 The Shiv Sena said the decisions by Sayeed to release extremists and speak about their rehabilitation have raised doubts about what exactly he proposes to do to ensure the return of Kashmiri Pandits to their homeland. “Sayeed has said developing separate areas for Kashmiri Pandits…does this mean creating a slum or slum development project for the ‘sons of the soil’? Even this proposal has been opposed by the separatists,” the party pointed out. Referring to the controversy over the party’s (Shiv Sena) demand to take away the voting rights of the Muslim community, it asked how many Kashmiri Pandits managed to vote in the last election in Jammu and Kashmir. “Many people are crying themselves hoarse over the voting rights of the Muslims, but no ‘Owaisi’ (Asaduddin Owaisi) or other secularists ever raised the same question (of voting rights) for Kashmiri Pandits. To ensure the victory of candidates on religious lines or Pakistan supporters in Jammu and Kashmir, the voting rights of Kashmiri Pandits have been crushed,” the party alleged. The fact that not a single Hindu legislator was elected in the last election is an ominous sign in this direction, as Kashmiri Pandits have been uprooted from their own homes and outsiders have usurped them, it added. Lauding a suggestion by Bollywood actor Anupam Kher to set up the first ‘Smart City’ for Kashmiri Pandits in their home state, the party said these original ‘owners’ of Jammu and Kashmir, now reduced to nomadic beggars, must get their voting rights restored.